When you have the best power tower in the house, you no longer need an entire suite of workout equipment to help give you a full body workout. While for the most part the focus of your power tower routine is really on developing your upper body muscles, some models do allow for leg training with some accessories for the power station. The standard towers allow you to do different push up variations, which can develop your chest muscles more efficiently. They also enable you to do different pull-up and chin-up variations so that you can develop your back, shoulders, forearms, and biceps. A quick comparison and overview of the products that we`ll discuss today! XMark XM-4432 Power Tower. It may be expensive, but it sure is sturdy. Stamina 1690 Power Tower. This model proves that cheap definitely doesn’t mean low-quality. Body Champ Power Tower. This is stable and versatile, and the price is reasonable. 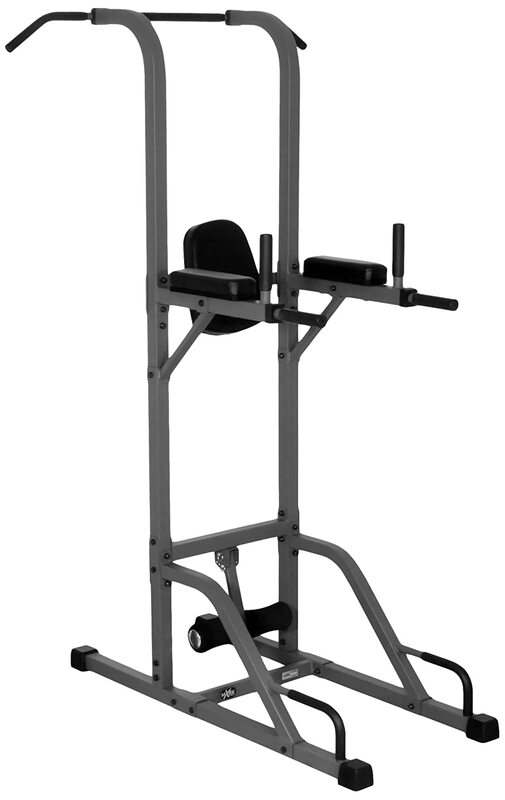 Bowflex BodyTower. This is the most expensive of the lot, but then it offers you a lot too. Gold’s Gym XR 10.9 Power Tower. The most affordable model for beginners, it offers a lot of value. With the leg and vertical knee raises, you can work out your upper and lower abs, while the windscreen wash can focus on your obliques. These are more advanced exercises, however, but then again you need to be an experienced workout veteran if you really need a power station. So which is the best power tower for you? Let’s find out with a close look at some of the most popular and highly regarded power towers available today. This is made with 14-gauge, 2 by 2 inch steel, and the entire thing weighs almost a hundred pounds. It measures 54.5 by 48 by 86 inches, so it needs a bit more space. But this bigger and heavier power station can handle up to 350 pounds of weight. It’s really built to last, and the frame even comes with a scratch-resistant powder cat finish. 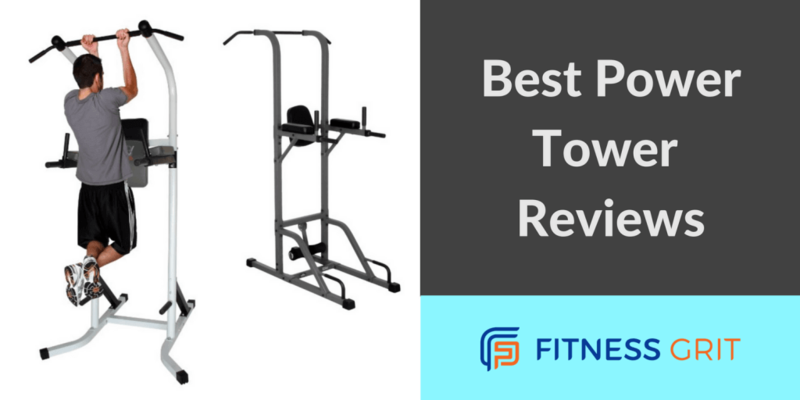 The power tower offers a bar for chin-ups and pull-ups, a place for pushups, a station for vertical knee raises, twin dip handles, and a sit-up station with an adjustable padded foot bar. In fact, your comfort is something that the makers really did think about. You have padding all over the place, while the handles all have comfy rubber grips. You have really thick 2.5-inch high density cushions, and the Duraguard vinyl is double-stitched and tear-resistant. 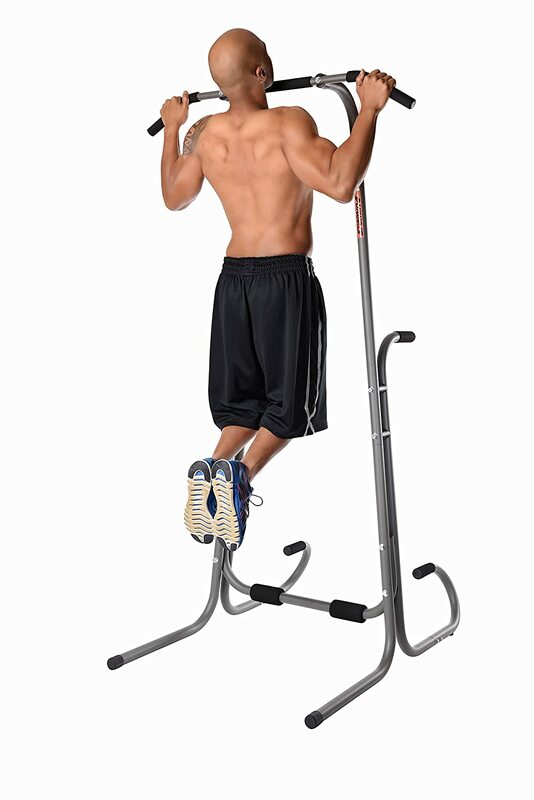 The pull-up bar allows for both a narrow and a wide grip, while the hand grips for the vertical knee raise are ergonomically spaced. And while you’re doing your exercises, the power tower stays put with the skid-resistant rubber feet. Most people say that the assembly isn’t all that complicated, but it can take you almost 2hours to complete it. Running reviews also note that it’s very durable, and even the pads and rubber grips are holding up well to constant use. This should last you for a very long time. In fact, XMark thinks so too, since they’re offering a lifetime warranty. It allows for lots of exercises. It’s very sturdy and can handle 350 pounds. It’s really built to last. It even comes with a lifetime warranty. It’s also huge and heavy. The Stamina Power Tower is one of the most affordable models on this list, but that’s not the sole reason for its popularity. It also requires only a small footprint, offers options for many types of exercises, and is very easy to assemble. In other words, the value for money it offers is outstanding. That shouldn’t be surprising, since Stamina Products have been making fitness equipment since 1987. Here, the exercises you can do include push ups, pull-ups, and chin-ups. Your workouts can develop your arms, chest, and back, and with this you can also do tricep dips and vertical knee dips. This offers a compact design so you don’t really need much space, and in fact it’s one of the most compact power tower models available. It measures 49 by 42.5 by 81 inches (LWH), and it only weighs 54 pounds so it’s not much trouble it moving it from one location to another (as long as you don’t have to move it through a door, that is). It comes with durable steel construction, and it can support a weight of up to 250 pounds. It’s very stable, with slip end caps to keep it from moving around. It’s one of the most highly regarded power towers, as customers overwhelmingly give it full marks. Many say that it’s easy to assemble, and that it can last for quite a while. Reviews also tend to affirm that if you assemble this properly and you’re within the weight limit, it won’t wobble while you’re using it. While a few power tower review articles do note that it seems flimsy, when your weight is on it then it definitely stays in place. This mode is very affordable. Many say that it can last for quite a while. It doesn’t take up much space. It may seem flimsy when you look at it, so you may not feel comfortable at first. If you’re big and heavy then this may be too unstable, especially for muscle ups. This is the 4-Station VKR Power Tower, and by that name alone you should already get a sense that you can do many types of exercises with this piece of equipment. It’s basically 4 stations in 1, as you have stations for pull-ups and dips, lower push up bars, and a station for (you guessed it) the vertical knee raise. So as you can guess, you may not need any extraneous weight at all. You can use your body weight to develop your upper body muscles.This is marketed as equipment for light commercial or home use. So it only weighs 88 pounds, which some may feel is a bit on the flimsy side. But the reality is that it’s a strong contender most stable power tower you can buy. As long as you’re within the 250-pound weight limit, you won’t have to worry about its stability. The steel frame is made for heavy duty work, and the durable D-frame base will keep it really steady. It also helps that the protective feet doesn’t just protect your floor but it also helps keep it on place. It’s very comfortable to use too, since the box-style cushions are thick and also made for heavy duty. Most people approve of its quality, and it surprises them considering how reasonable the price is. Most find it easy to assemble, and it really does do its job very well. However, some may feel that it’s too light, so even though it’s steady the light weight causes them to worry if they’re heavy and big. There’s one mention of a problem when a dip belt is used for dips, but it seems to be a solitary complaint. It is extremely stable, according to just about everyone who has tried it out. It offers many types of exercises. It’s fairly easy to assemble. A few do worry about its light weight, so it feels flimsy when it’s not. Not everyone can assemble this easily. One problem that some people have with power towers for home use is that they don’t feel quite as stable as the ones they use in commercial gyms. Even though they power tower they have is stable, the feeling of instability can be rather disturbing. But that’s not the feeling you get when you buy this Body Tower. This is commercial-grade stuff, and you’ll realize it right away so you really won’t worry. Part of the reason you’re reassured that it won’t tip over is that it’s very heavy. As is, it already weighs 120 pounds so when you add dog food bags or other heavy bags at the base then the worry should evaporate. The reason for that weight is that it’s made with commercial-grade steel for the frame. So it’s basically the same material that’s used for the power towers in the gyms. It’s also hefty, as it measures 50 by 50 by 77 inches. The large footprint of the base adds to the feeling of stability, plus it’s also rated to handle a weight of 300 pounds. With this, you can then do more than 20 types of exercises. These include sit-ups, push ups, pull-ups, dips, and leg and knee raises, plus you can also add planks and squats too. The horizontal bars are also adjustable, so you can do more exercises and also increase the intensity of the workout. To help you out, your purchase comes with detailed guides on how to use the power tower to perform various types of exercises. The sling straps are quite comfy to use, and for added comfort there’s also a cushioned pad for your back. However, the pull-up bar is just a little bit thicker than average, so a few people may not find a good grip for it. This is built to last for a while, as the warranty for the frame is good for 5 years, while the other parts come with a 1-year warranty. It takes a while to assemble, however. It comes with a 300-pound weight limit. You can do a lot of exercises, especially because you already get the guides. Quite a few people have had trouble putting this together properly. This is a true bang for the buck bargain. It’s extremely affordable, and yet it offers a 4-in-1 design that really gives you your money’s worth. 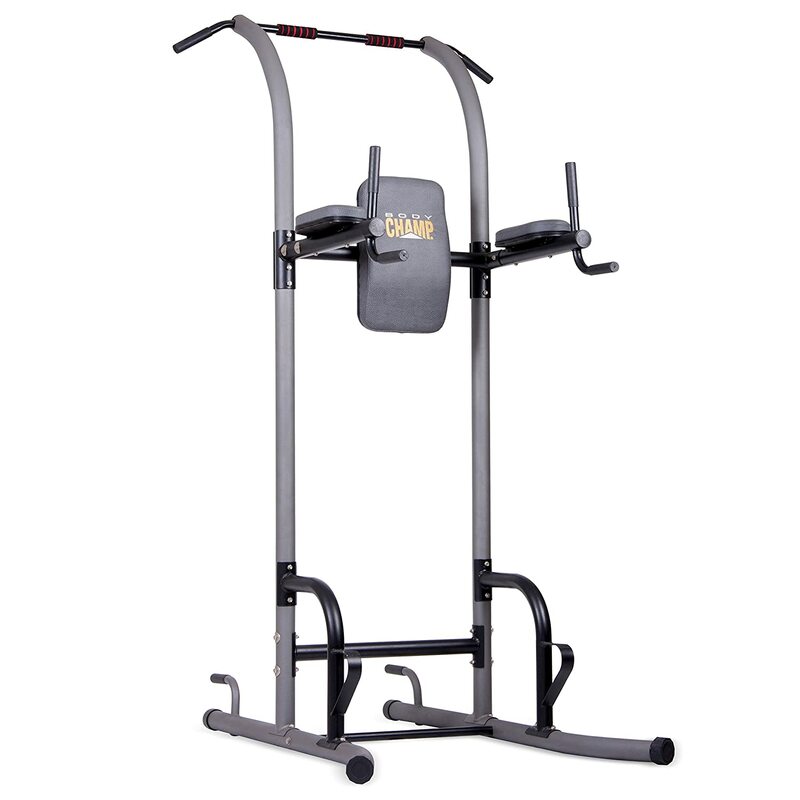 There’s a dip station, a pull-up station for different grips, a push up station with padded grips, and a vertical knee raise station to work your abs. It also has a 250-pound weight capacity. This is a topnotch brand that’s been highly regarded since its entry into the bodybuilding world in 1965. The brand’s emphasis on build quality is very evident on this XR 10.9. Most people find it easy enough to set up, although a power drill for the screws will really help you out. Once you’re done assembling it, you’ll find that it work as promised. It’s a no-nonsense piece of equipment, which is understandable given its price point. Just do your exercises with deliberation and good form, and you’ll be fine. Many have been using this for years, and a few huge guys have been using this daily and it’s still in top shape—and so are they. However, you can’t adjust the height of the dip bar and pull-up bar. Some also find it wobbly. But this can be a good thing—it’s a sign that you’re using momentum in your exercises, and that’s not right. Also, the short 90-day warranty is a bit disturbing, to say the least. This is the most affordable of the models here. The brand has a solid reputation. It works as promised, with no frills. A few people do have issues with the set up. Some mention that it wobbles, but it only does so when you’re not doing your exercises correctly. The height of the pull-up bar and the dip bar can’t be adjusted. It only offers a warranty of 90 days. How Do You Pick a Power Tower? Obviously you need to fit it in your budget. But in general even the most expensive is only a little over a couple of hundred bucks. It can be frustrating when it takes too long and the instructions aren’t clear. What’s really aggravating is if there are parts missing, or when the holes don’t match! You have to check what kind of exercises you can do with it, so that it fits your workout preferences and goals. You can’t really do a lot of exercises if the power tower can’t handle your weight. It’s and if it wobbles even while you’re using it, since your worries can distract you from your workout. 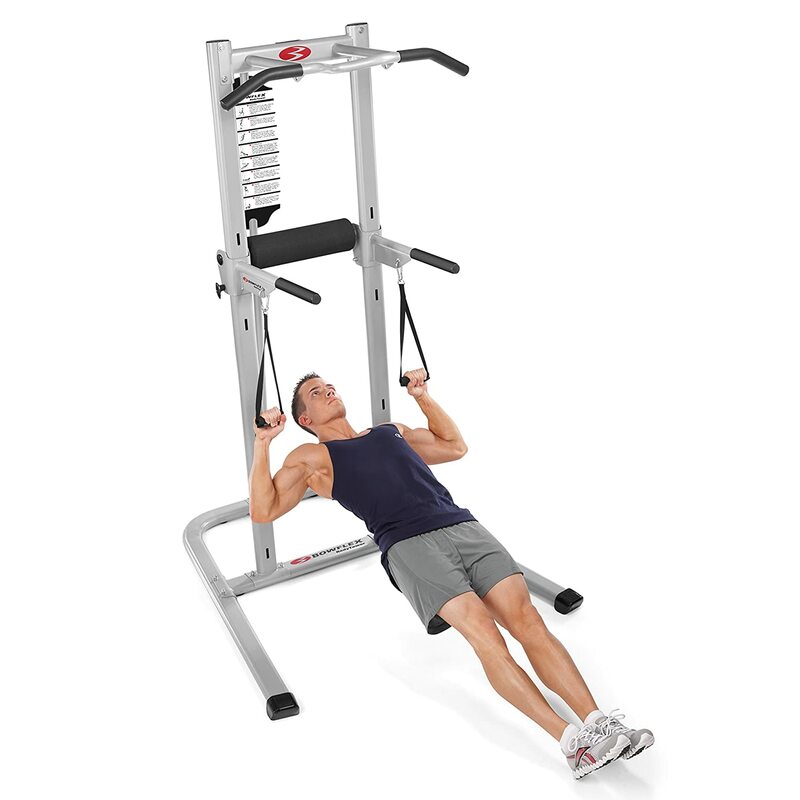 However, if you’re within the weight limit and you do the exercises with proper form, you really don’t have to worry about tipping over on good power tower models. How long will it last? You should expect many years of service from your power tower. A check on the warranty can tell you a lot about how long the model will last. There should be adequate padding when needed and the grips and design should be comfy and ergonomic. Can it fit in your place? Do you have ample room to use it? Bigger power towers may seem more stable, but they really will require a lot of room. We’re fairly certain that any of these models can suit your power tower needs. They’re all safe, sturdy, reasonably priced, versatile, and not too difficult to assemble. But for our money, we’re probably going with the XMark XM-4432 as the best power tower. Its weight capacity of 350 pounds is unmatched by the others, and no other manufacturer can beat that lifetime warranty.